Need more information about booking Home 9620650 ? Safe place for family with childreen. 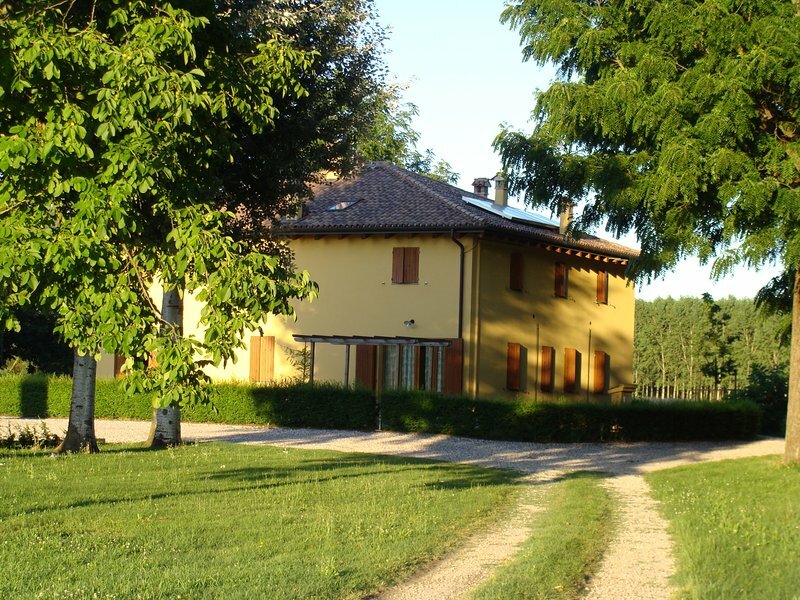 The perfect place where you can relax at the owner's swimming pool, or spend a day to visit one of the monumental towns: Florence, Venezia, Modena, Reggio Emilia, Ferrara, Ravenna and Mantua reachable in 1 hour driving. The world wellknown FICO is 10 minutes far by car from the farmhouse. Here you can find and buy the best products of italian cousine. Enjoy a week Holiday dedicated to relax, good food and history. You can get in touch with Francesco (the owner) through the contact form on this page. Send Francesco (the owner) an email through the contact form on this page. Alternatively, if there’s a phone number on this page, you can call them. How do I contact Francesco (the owner)? If you’ve already booked, go to Manage your holiday booking to view Francesco the owner's contact details or send them a message. Or send Francesco (the owner) an enquiry through the Contact the owner/manager form if you’d like a quote or more info first. When you pay online through the Book your stay form, a booking request is sent to Francesco (the owner). You’ll find out within 24 hours whether they’ve accepted - no money will leave your account before then. You can also request a quote from Francesco (the owner) through the contact form. The owner will email you the total cost for your dates and a link to book and pay online. Use the Book your stay form to pay provisionally online. You can pay by credit/debit card or PayPal. Francesco (the owner) will have 24 hours to accept the booking and no money will leave your account before then. Why can't I call Francesco (the owner) before booking? You’ll need to contact Francesco (the owner) to do this. Send them a message in Manage your holiday booking or through the contact form on this page. You can request to change the dates or number of people on your booking via the Manage your holiday booking page. To change your holiday dates use the Edit booking button. If you need to change the number of guests staying then send Francesco (the owner) a message. If Francesco (the owner) agrees, they’ll send you a revised quote outlining the changes. You can review and accept/decline this from the Manage your holiday booking page. You’ll have 48 hours to take action before the revised quote expires. Estimated price per night based on a weekly stay. Owner fees of $135.00 per stay may apply. Enter your dates to see the total cost.